Look what came to me from the lovely Karin who I 'met' on Flickr through the Christmas Tablerunner Swap. 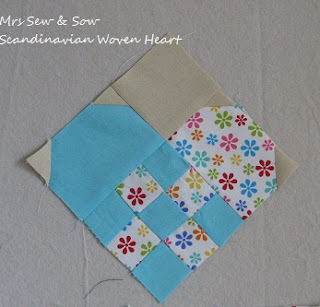 I posted a little block I had designed that I called a Danish Woven Heart - after a few comments it became apparent that the woven heart was common to Sweden and Norway too! 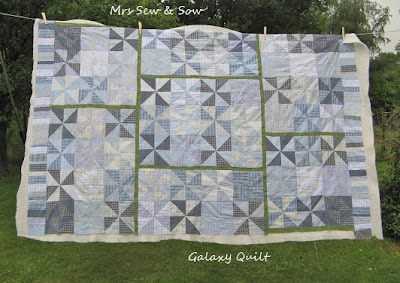 Isn't this gorgeous - I need to make a bag with these! The big blue one definitely has a punk thing going on with his lovely red spiky hairdo. 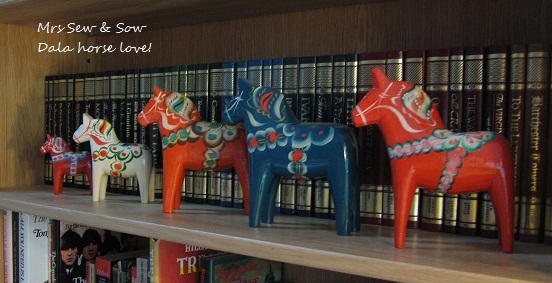 And just look at that cute little braid with Dala horses! 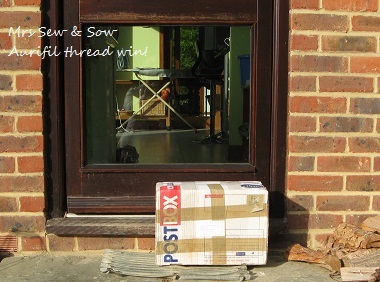 Cannot say thank you enough Karin and just need to think of an appropriate local return package to send your way! You can catch up with Karin at Karin pa Osater or at her photostream on flickr! 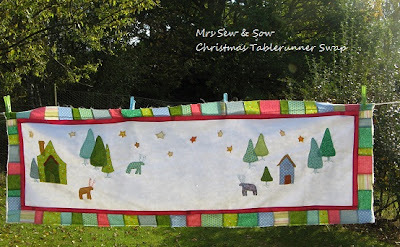 The table runner runs on! Well I couldn't wait for the advice to come through I just have to get on and finish this table runner - it has an impetus of it's own! I picked not red but a deep pink for the accent border - I think it is Kona Pomegranate! 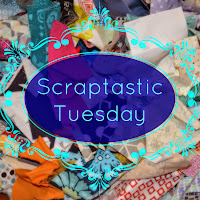 And made a scrappy outer border! 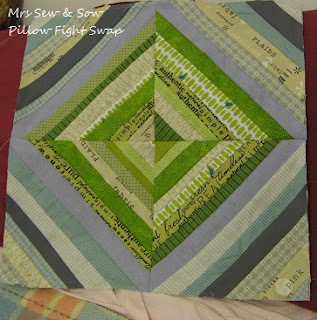 My hubby, who doesn't actually give me much feedback on my projects, said he liked it better without the borders! I think they lift it and finish it off! Just hope you don't think I've ruined it...? 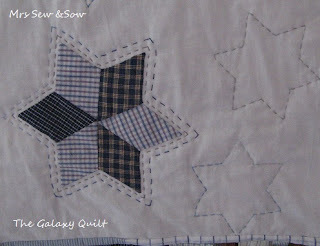 On the back I want large quick log cabins so I can hide my less than perfect quilting and the job will be done! I really like it and you know what that means - I won't want to let it go! But partner if you love it then I may just manage to wave it off! 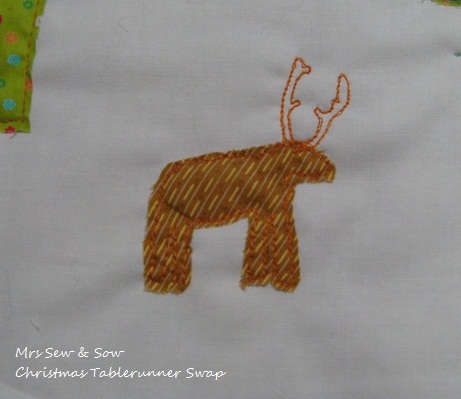 Next stop is to get on with the goodie - there may be a choice here - a mini hoop with a FM robin in it or a feltie elf - though now I'm thinking a reindeer may be more appropriate....? Festival of Quilts Blogger style! 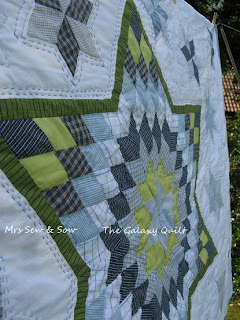 I then wondered what finished quilt could I enter and this favourite came to mind! 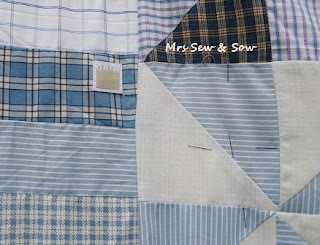 I had an idea to make two quilts out of similar material for the twin beds in my son's room. 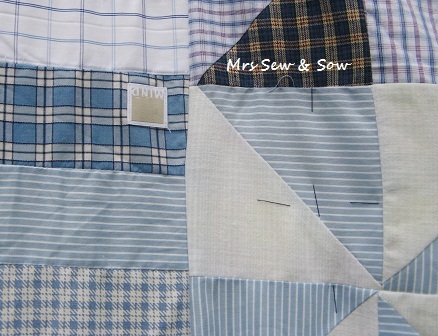 I got some blue fabrics from Worn & Washed which recycles fabric from old shirts etc and added a few others. 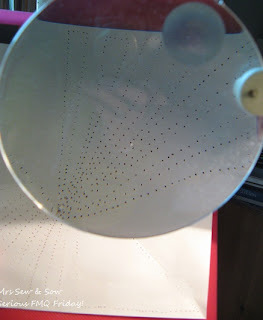 Then this March I started blogging and decided to use my blog to finish all those UFOs that were hanging around getting started but never finished. These 2 quilts were on my list! After a lot of pondering I just appliqued that lonestar onto an old cotton sheet and the other smaller satellite stars too! That was easily done! 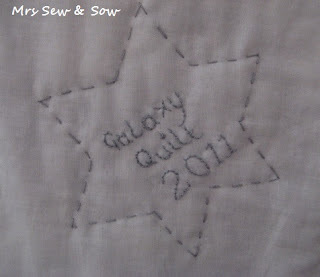 By this time I was none to keen on the pinwheel version so decided to put it on the back of the quilt. 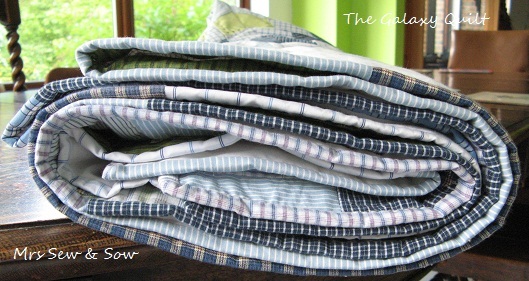 The fabrics are the same so of course they would marry up well! 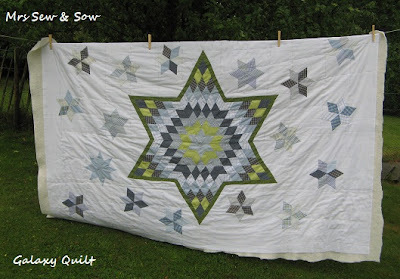 This was an unloved, unfinished project sitting on the shelf - now this quilt is much loved and on my bed though I have to say it is a bit small for our bed but I just might be pushing my luck by giving my son a white quilt for his! Free Motion Friday! 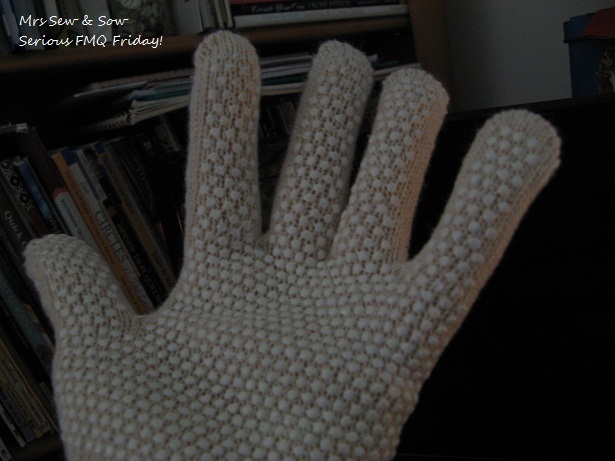 on Friday! 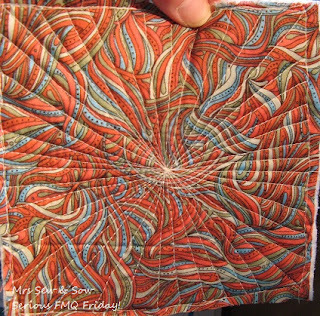 Excuse me I am a serious FM quilter now! Then I donned the gloves - fetching are they not? Has the preparation made a difference ? Oh yes I think so! I was slightly freaking out about this one hence all the prep! But I think this is my best attempt yet - hurrah! 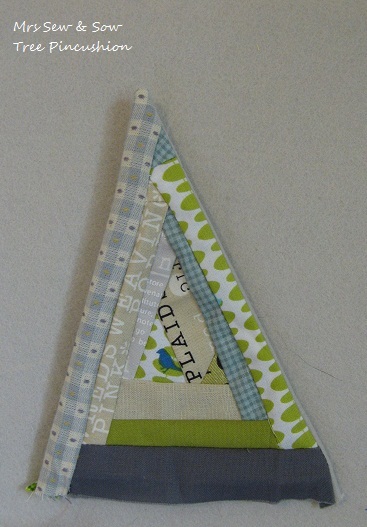 I may even make a mini mug rug out of this one! Bit of binding and it is done! 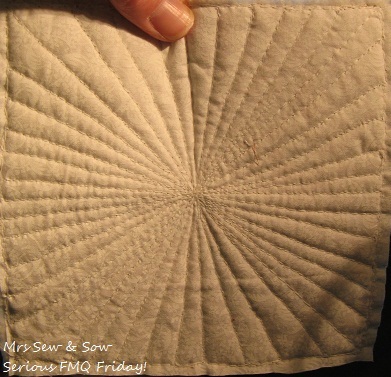 Of course a serious FM quilter such as I needs to link up with the ever-delightful Cindy for Free Motion Friday ! Hahaha! Did you get through all that thinking I was serious about being serious or were you smirking too! Well serious or not I will be dooddling some stomach lining this week - horrid title but pretty pattern! Will you be joining in the doodling? 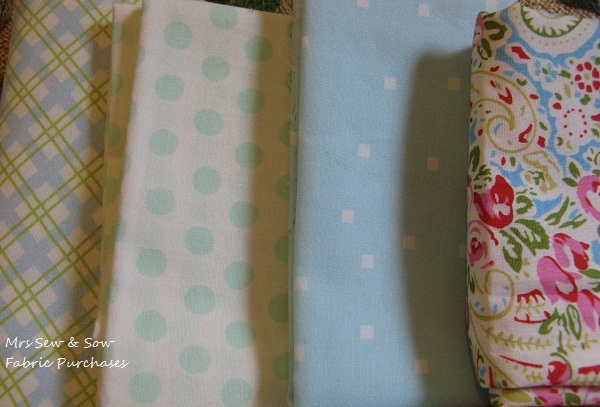 In which I bought fabric and sewed! 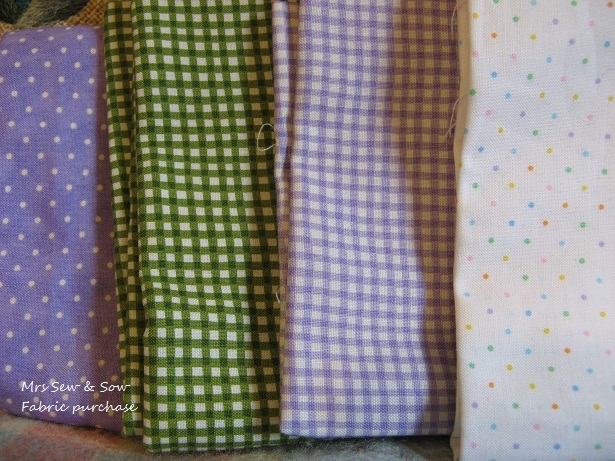 They may not all get made into hearts but at least I have some choice now of fabrics with the right sort of feel to them...for the light Scandi look! 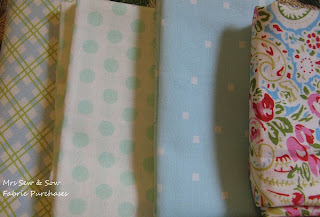 Actually I should have looked at Tilda fabrics - they would have been exactly right..duh! Everything is stitched down now as or very close to my original layout! 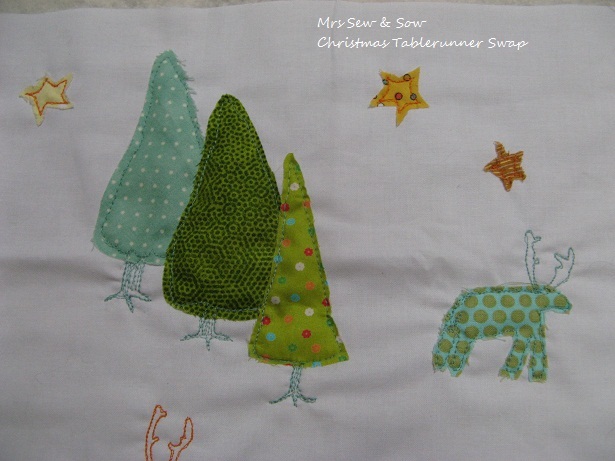 But are they bears or reindeer now Susan!? 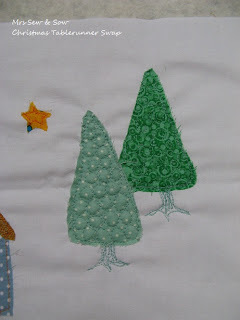 Yes I have FMQed some of the trees! Now I am thinking I should have some quilted smoke coming out of the chimney? A few lines to denote the snowy landscape? And FMQ detail on all the trees? 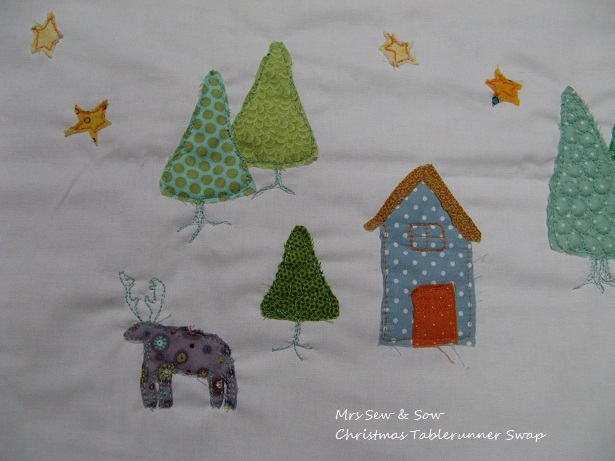 Obviously it needs a border - I am inclined to have a narrow red border followed by a scrappy one in the colours I have used in the scene! But I am listening to other suggestions if you have any? Hope you still like it people and that my partner does too ....but shhh! I think she is sleeping! Back to basics drafting skills and a cat appeased! Well I did the VET thing yesterday and despite all the stress, my gorgeous Saffy has decided to forgive and forget - I think she may be trusting me more which is a great thing. She is a rescue cat and was super suspicious when we first got her, was nervous near doors and wouldn't go near any man! History and her intelligence had made her that way! 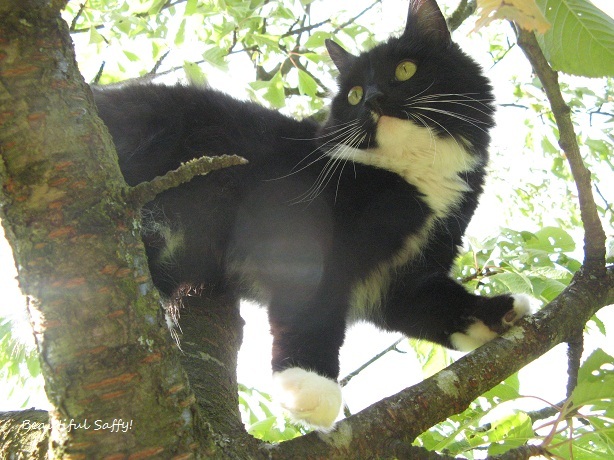 She still is very clever and works out ways of telling me what she wants - her range of words has developed from one when we first got her which sounded more like a quack than a miaow to a myriad of chirrups, squeaks, miaows but she has always had the loudest purr ever! I love this cat even though she doesn't make it easy and maybe even because of that! 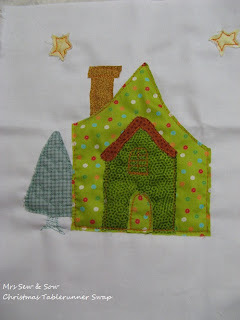 Next was the workshop on drafting in Dorking with the ever lovely Carolyn Forster. 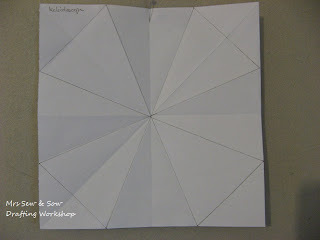 We started with the basic task of learning to look for the grid making up your block. Next we moved onto the mechanics of drawing out the chosen block real size and then in scale. We worked out what size of pieces you need to cut for your block, including your seam allowance. We talked through how you decide how much fabric you need! 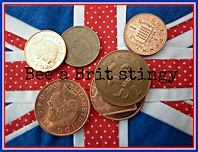 Useful if you want to save a penny or two and not rely on the books, patterns or shop assistant! Then we did some origami - we made paper planes! ..... or kaleidoscope block and no maths involved just folding! The same method holds good for the Mariner's Compass apparently though we didn't do that one. Now the trick I liked best was how to divide a block without the scary fractions of an inch for instance make a 3x3 patch block fit exactly into a 7" square! No weird measurements required! First you pick a number easily divisible by the block grid (3x3) you want - in this case we used 9 as 3 divides equally into 9! 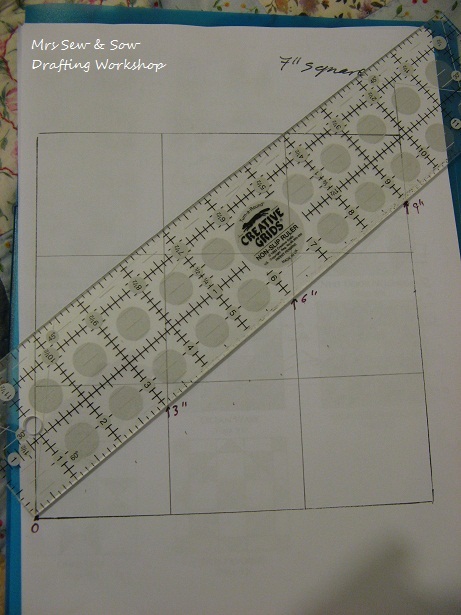 Take a ruler and measure a diagonal from the bottom left corner until it rests on the opposite side of the square at 9" - mark the paper along the ruler at 3", 6" and 9". 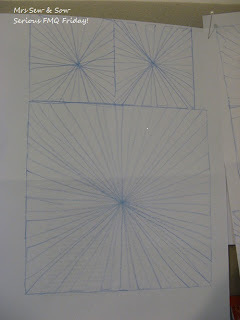 Then draw out the lines of the grid. 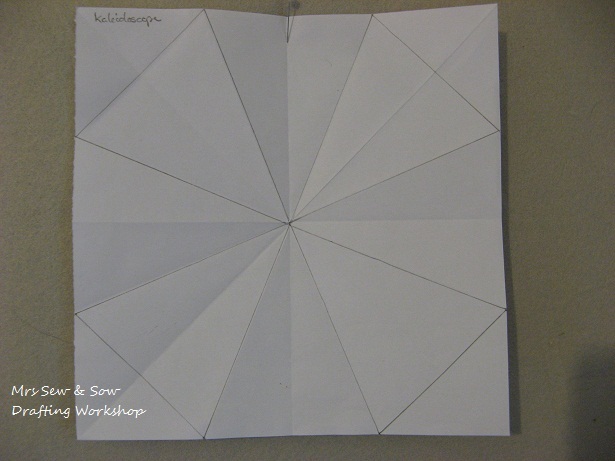 Repeat the process having turned your paper around and you have just divided your 7" square into exact thirds! How cool is that!? It works for any number! 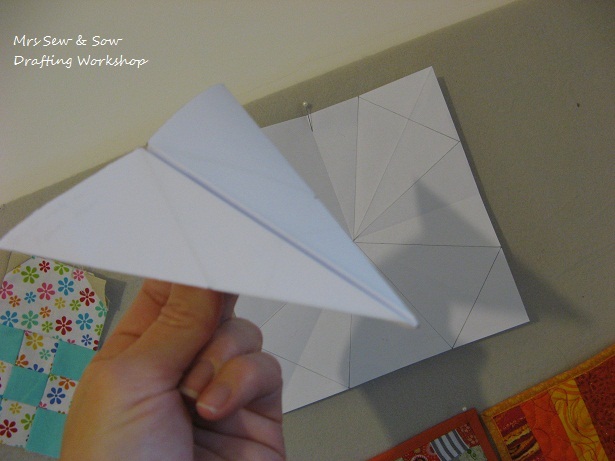 You may already know this trick...in which case well done! 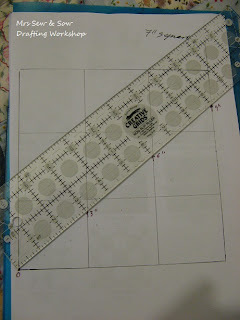 But previously I have just picked my block size according to the grid required - I don't have to if I don't want to anymore! 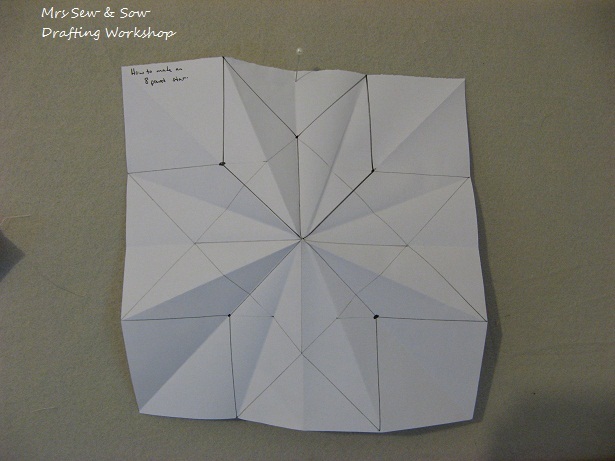 The other thing Carolyn told me was how to work on hexagons - using a compass - and specifically the template size I had been using on my hexalong quilt. 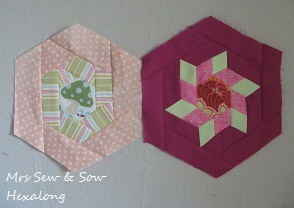 I was wanting to get that block on the right - right - ie without resorting to adding a border! Now I have no more excuses...must get back to that one ...and the rest! The V.E.T and a drafting blocks workshop! Busy day taking cat to the V.E.T! for her jabs and a drafting skills workshop this pm! My Saffy is suspicious by nature - I think she can read my mind! When I tried to usher her into the kitchen she knew something was up and despite the offer of treats was most reluctant to come anywhere near me. She just knows I am up to something! Did get her bundled into her box and she meowed with folorn gusto in the car - then she didn't want to get out of the box ! Well she is jabbed and wormed and deflea-ed so we can forget that palaver for a while and go back to being friends - phew! This pm I am abandoning the kids to hone some drafting skills -I hope to be able to make blocks any size I like - well that is the theory anyway! 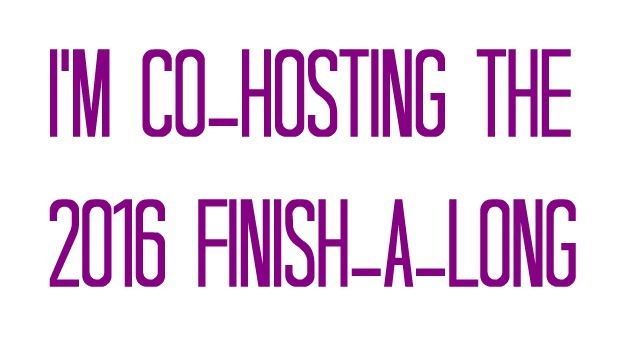 I will share any tips I glean of course! And there may even be time for a little bit of shopping.....?? In the meantime I was playing with my leftovers from yesterday and made this wonky shape which seems to be asking me to make it into a Christmas tree pincushion for my Brit Quilt partner. It just needs a trunk or tub on the bottom and a bit of stuffing! And thanks for all your encouragement yesterday I really do appreciate it! A bit more confident and ready to just get on with it! Woot woot! Made a start! 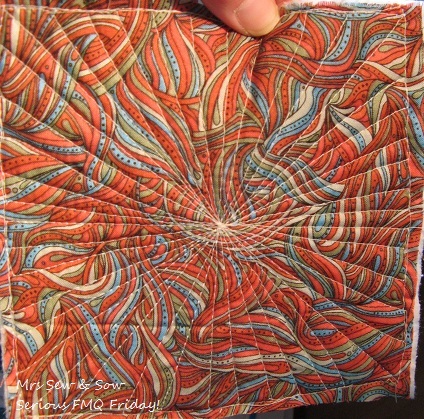 I am nervously in the Brit Quilt Pillow fight egged on by Helen (aka Archie the wonderdog) but am wondering if I am in the same league as some of these masters of textile art! Anyway I am sure to get a wonderful cushion which I will treasure and I just hope I can please my partner. This time I am trying to make something from her inspiration mosaic - some string squares which I love as it gives the opportunity to mix lots of lovely fabrics but without losing too much...now this point is important as I am sharing my much loved and hopefully growing collection of text fabric which just happen to be in appropriate colours. 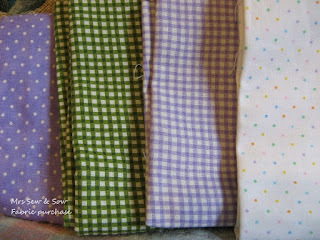 Then I have mixed in some older fabric from stash which I hope is acceptable and some cotton solid and some lovely linen! 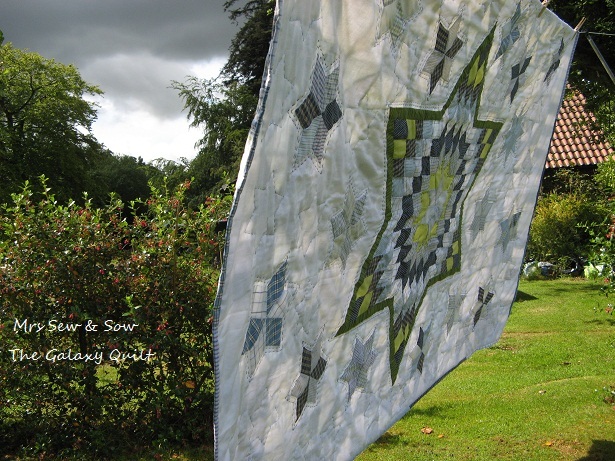 I am hoping to create a textural feast with quite a pared back colour palette! Not quite how it should look but a lot better. Still got the other side to do .....better not make any mistakes there! Today I took my youngest round to her friend this morning and look what was waiting for me on my return! How did I stay so calm as I opened it up and feasted on the glory inside!? Colour, colour and more colour - that's how to make me happy! 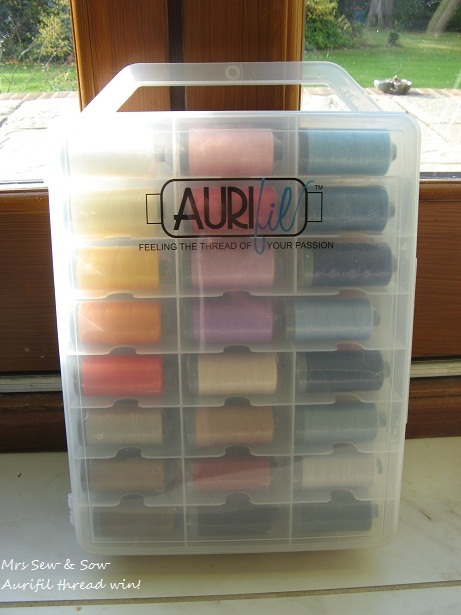 Now the weight of this stash of glorious thread is the 28 which is recommended for hand quilting, decorative embroidery and topstitching. This will be fun to try out! I do all of these! I also have a couple of spools of variegated 40 weight thread picked up at the Festival of Quilts which is recommended for machine quilting, general use, and decorative applique. And Lynne previously sent me a spool of Mako 12 which is for Sashiko, and hand embroidery...I do all this too! 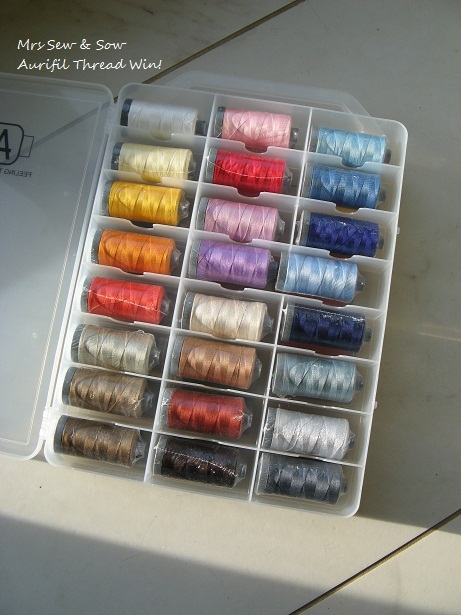 As you can see I am set up for lots of play with colour and thread and I will report back on all aspects of this bounty in a little while. 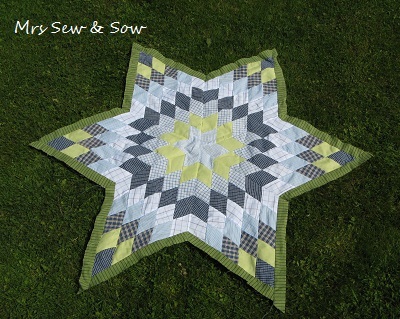 But most importantly I thank Lynne @ Lily's Quilts and the handsome Signor Aurifil, Alex Veronelli for this handsome prize! 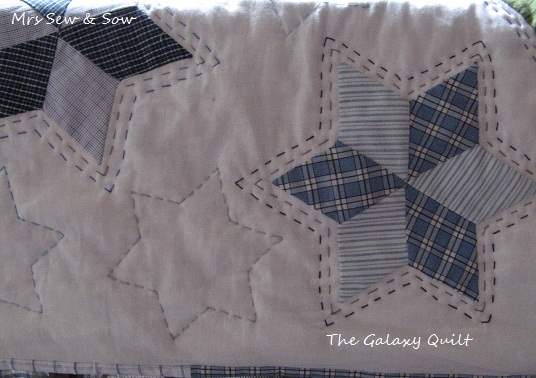 Two little asterisk blocks - which may be a tablerunner or cushion or quilt!? 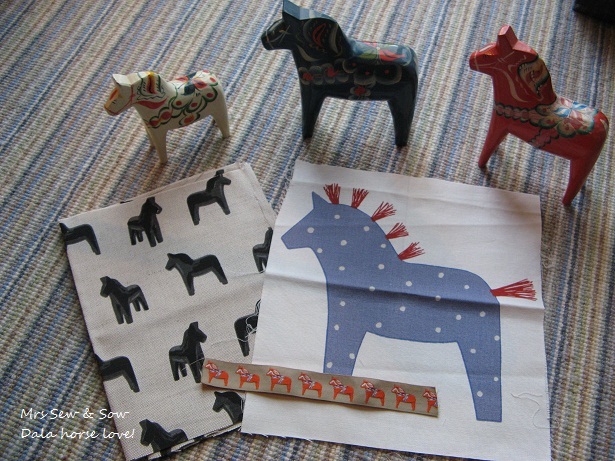 And a smaller cuter version of my own design (at least I haven't copied anyone else's) of the woven heart which are found (thanks Benta) in Norway (thanks Karin) in Sweden as well as Denmark! So I guess it is a Scandinavian Woven Heart! I am really loving this version in aqua, a supercute print which Helen (aka Archie the wonderdog) sent me and a neutral linen! I will probably add the frame back in but at the moment this block measures 5.5" square and the other one a massive 10" block - both the unfinished size! 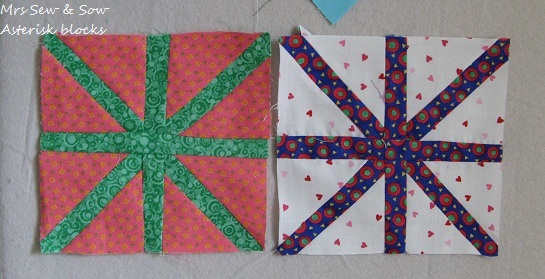 I have lots to do and it would seem I am being encouraged to finish my first version of the tablerunner - so I will do that, but I think I need to do more hearts and asterisk blocks too! Do you like a Danish? 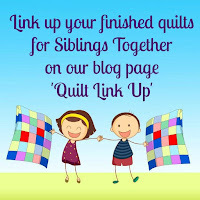 Thank you blog buddy day! Purchased at the Eternal Maker! Spools workshop - the outcome! Come into the garden, Maud! 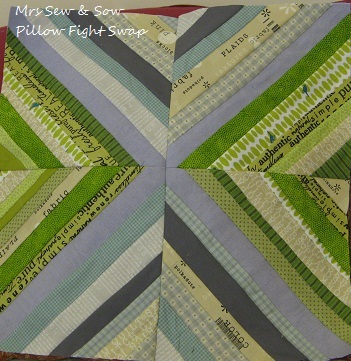 ATS QAL or Across the Sea Quilt Along!